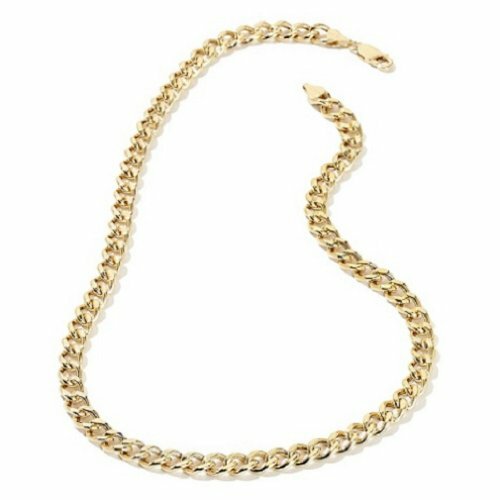 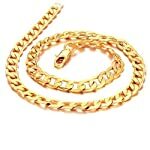 This gold plated curb (or cuban) chain necklace is 6 mm wide and is available in 18 inch, 20 inch, 22 inch, 24 inch, 27 inch, 30 inch, and 36 inch. 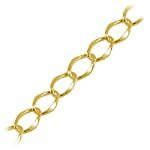 This high polished item has a lobster clasp and comes with a manufacturer's lifetime warranty. 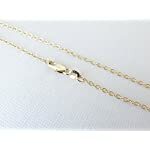 If there are ever any issues as long as the item is owned it can be returned to the manufacturer for a brand new necklace for the cost of shipping. 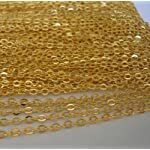 A manufacturer's warranty form is included with the item. 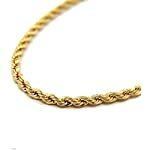 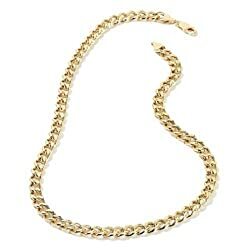 The chain is marked 18KGL to designate the 18K gold layering.